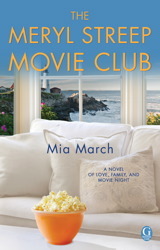 If you love Meryl Streep movies and books about women’s friendships, you will love The Meryl Streep Movie Club by Mia March. I bought this book. You should too. All opinions are my own. Now go watch a Meryl Streep movie. I just read this book and loved it too!